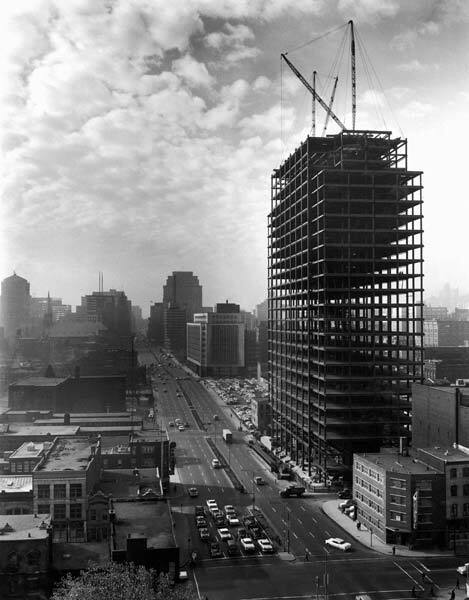 “The 60s: Montréal Thinks Big,” on view through September 11 at the Canadian Centre for Architecture (CCA) in Montréal, examines the impact architecture and urban planning of the 1960s had on the city. 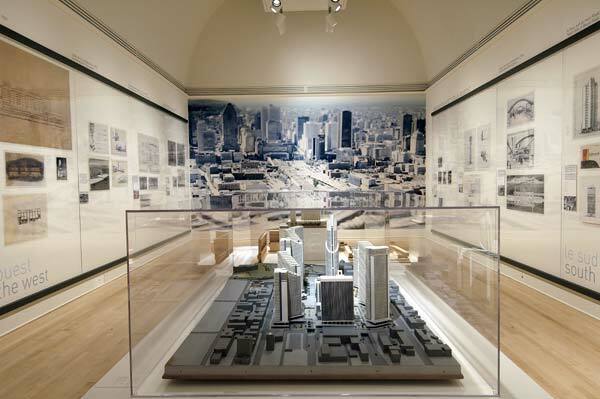 The exhibition makes use of the CCA’s extensive archive of drawings, sketches, films, and original architectural and urban scale models of the time. A series of connected rooms steers the visitor through an enormous treasure trove of information. Film, video, and advertising of the period are used to help place the urban and architectural aspirations in social context. 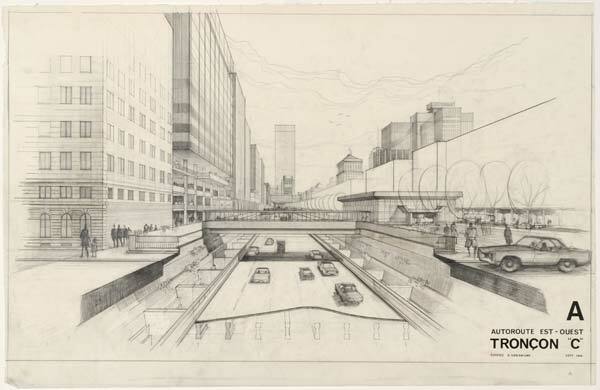 Highlights include drawings of the Mies van der Rohe project for Westmount Square, Luigi Moretti and Pier Luigi Nervi’s Stock Exchange complex, and I.M. Pei and Henry Cobb’s Place Ville-Marie. Impressive, large-scale photographs of the city compare old and new, such as the enormous Hydro Quebec building by Gaston Gagnier and its dramatic siting and scale. In construction photos, Gagnier’s building looks like a skeletal steel ruin, completely out of scale and alien in its surroundings. 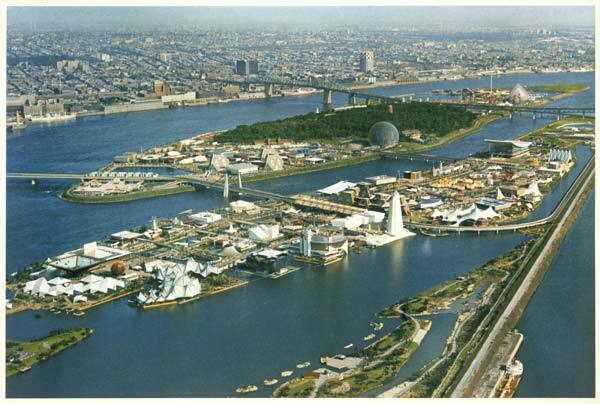 There’s also an archive of rarely seen images from the Expo 67, including an overview of the historic exposition, whose fairgrounds were built from landfill from the Metro excavations, and the American pavilion designed by Buckminster Fuller. Large period photos also document some of the city’s enduring 1960s landmarks, such as Moshe Safdie’s experimental housing project Habitat 67; the underground city linking much of downtown by subterranean tunnel; and the Metro public transit system. These are just a few of the grand schemes that have proved extremely successful. They also help keep the exhibition optimistic by celebrating Montréal’s unique heritage and history, while offering a pointed critique of other less-successful examples of 1960s urban planning. The disappointments of 1960s urban developments offer important lessons: the initial schemes were often right, but didn’t work when realized only in part or with key elements incomplete or ill-maintained. Many of the ideas were great, but the final results were somehow out of scale and out of sync. 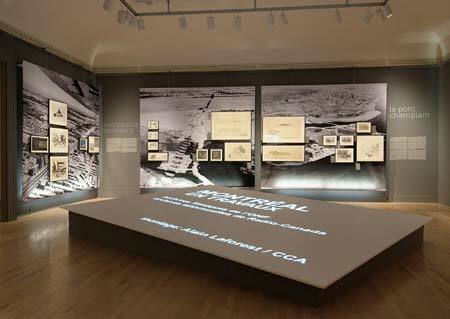 Some were neither great nor sympathetic to the urban fabric, but all are well documented in this thorough exhibition. Two of Montréal’s major built developments – Place des Arts and Place Bonaventure – are put into architectural context. Even to the untrained eye, it is easy to compare projects and notice trends in urban planning. 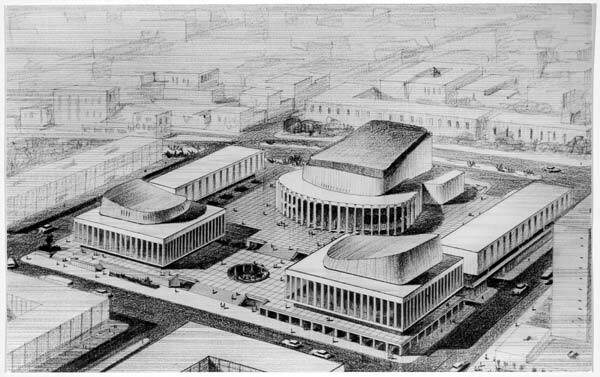 For example, the scheme for Place des Arts initially looked like New York’s Lincoln Center with large buildings facing each other in a “U” shape around a courtyard. But the plan was not executed completely and the results were disappointing. One building, key to the scheme, was not built at all and an ill-used park was put in its place. 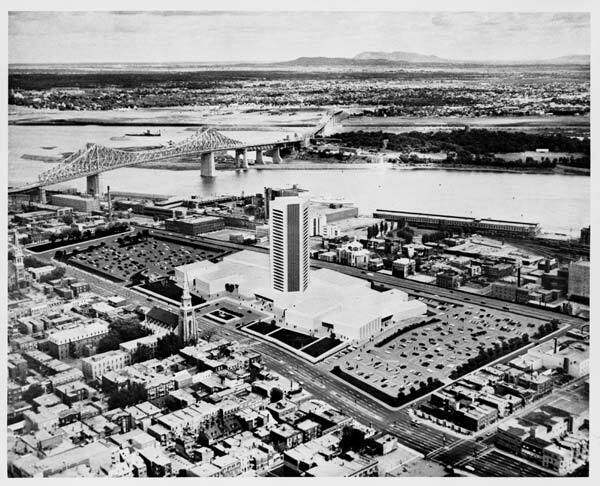 The controversial Radio Canada office tower, begun in 1966, devastated a large Montréal neighbourhood to make yet more car parking and commercial space. In an essay “Learning from Montréal” in the catalogue that accompanies the exhibition, American architect and critic Michael Sorkin argues for the selection of Montréal as a case study of the 1960s: “The astonishing thing is that every single standard-issue piece of mid-century modernist strategizing happened here.” This strategizing is related to the imagined dramatic increase in population for the city. 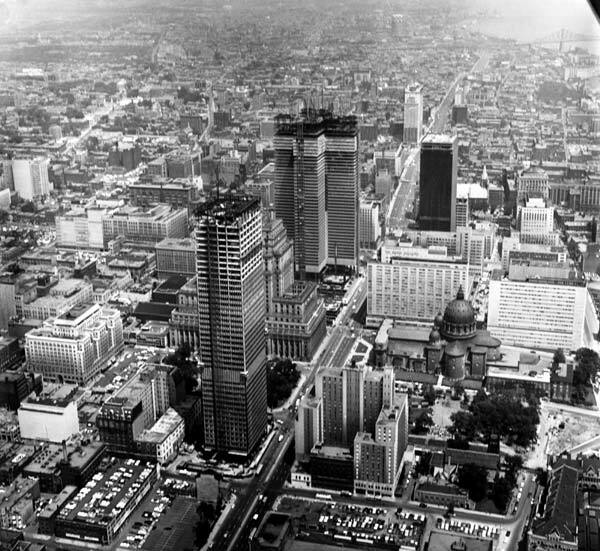 In 1951, Montréal became the first city in Canada with a population to reach the one million mark, and planners and dwellers braced to welcome a proposed future with five million inhabitants (they believed the baby boom would last longer than it did). These predictions were wildly inaccurate and the population did not dramatically increase. In fact, in 1961 there were 2.5 million people in the city; now there are just over three million. Across North America, “urban renewal” devastated neighbourhoods and elevated highways separated cars from people, suburbs from downtown, and changed the way people used urban space. Montréal was no exception to this destructive trend. 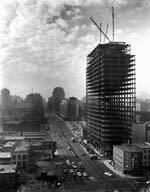 By the 1970s, a wasteland of empty car parks and newly built commercial high rises were sitting empty. A richly illustrated exhibition catalogue, “The 60s: Montréal Thinks Big,” edited by architect Andre Lortie with a preface by CCA Founding Director Phyllis Lambert, is $55. 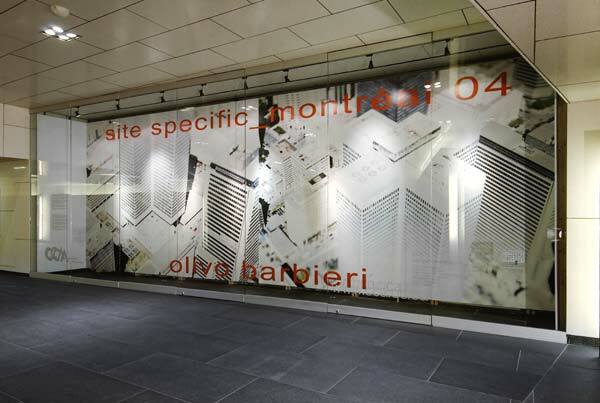 Parallel to the main exhibition, the CCA’s Extra-Muros vitrine at the center of the pedestrian passages of the Quartier international de Montréal (QIM) features “Site Specific_Montréal 04,” large photographs by Olivo Barbieri commissioned by the CCA and taken from a helicopter, that show major 1960s projects as they appear today. And through June, the CCA, in conjunction with DOCOMOMO Québec, is offering a series of Saturday walking tours of a number of Montréal’s 1960s landmarks. Terri Whitehead is a designer and journalist based in London, England.